We just got back from NCECA, and we have something to share with everyone. For the last few years, Rose and I have been working on a project, trying to redefine glaze chemistry as we know it. We have been attempting to define the exact chemical role of the colorants in the U.M.F. 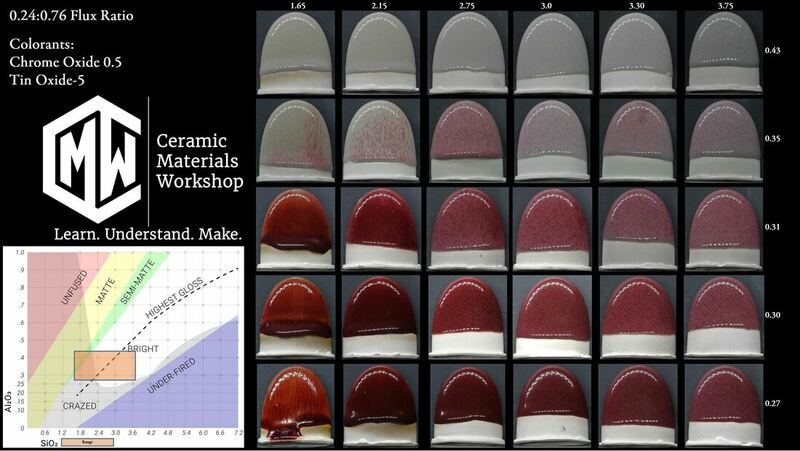 Our NCECA paper will be published later, but for the moment We are publishing our the experimental glaze calculator. This calculator integrated the colorants into their prescribed roles as we've been able to define through our research. This a test of Ceramic Materials Workshop blogging platform. This is a place online to understand and explore how and why our Clay and Glazes work (and don't work).